We will never know what will happen next. life is full of surprises. Just be prepared. 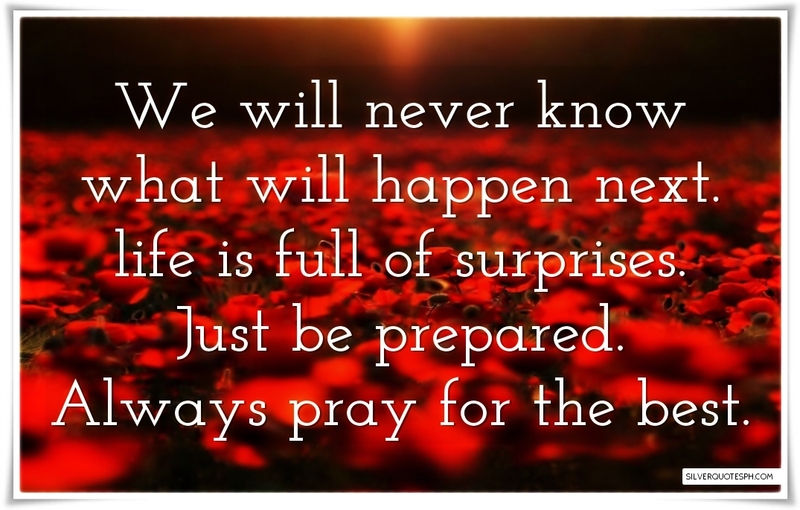 Always pray for the best.